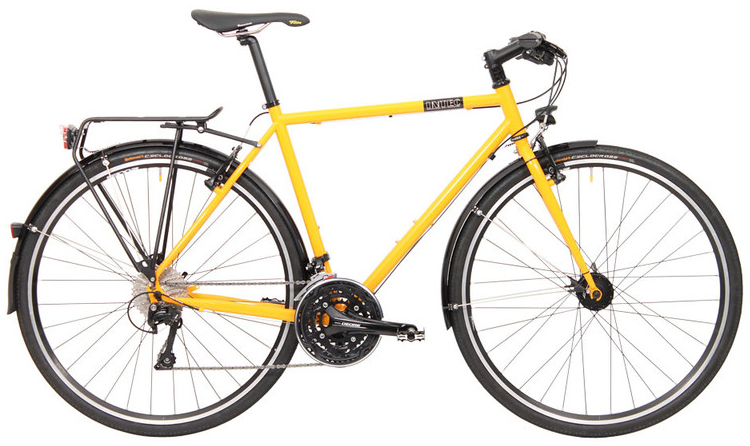 Serious long distance touring bike with cantilever brakes, uses tyres up to 32 mm with mudguards, 35 without. 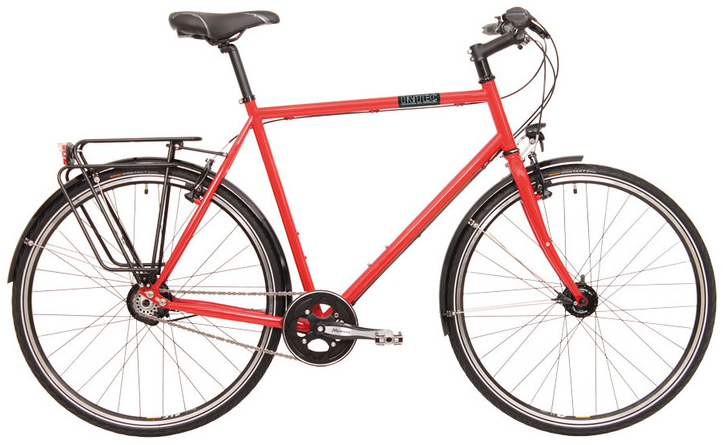 Supplied with flat bars/drop bars, mudguards, pedals, lighting system and rack, weight ca. 9.5 kg. Following equipment options are available for this bike. Please select the required option, prices are in addition to the basic group set listed in the bike section. Image for illustration purposes only. 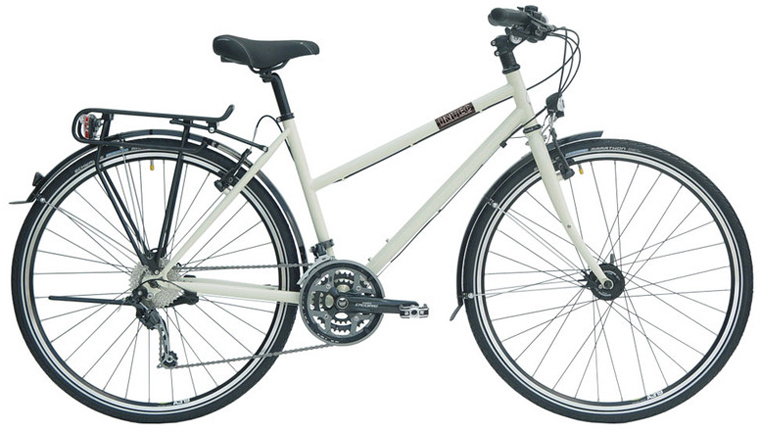 Ideal bike for everyday use around town and country with steel frame and 26" wheels. Upright riding position. Double bottle bosses, all brake and gear cable braze ons, low rider bosses on fork, internal dynamo wire routing through downtube, standard model supplied with V-brakes, lighting system, mudguards and rack, weight ca. 13.9 kg. 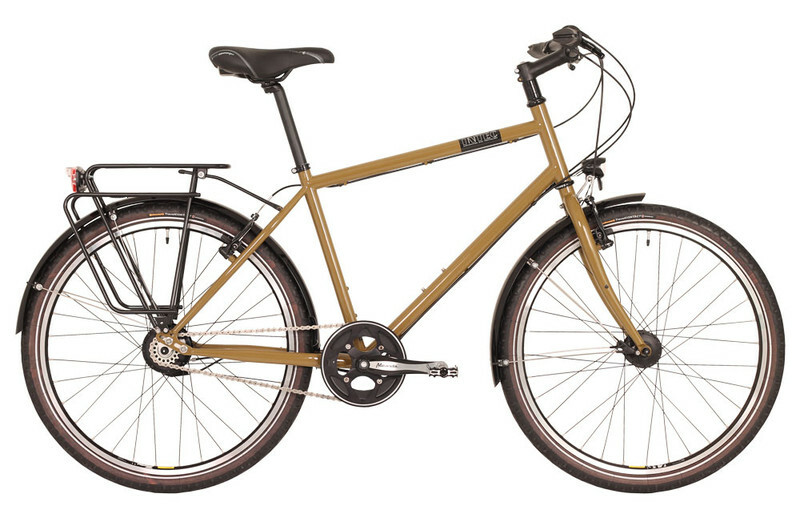 Steel framed around the world tourer with 26" wheels and Rohloff 14 speed hub gears. Internal dynamo wire routing, double bottle bosses, all brake and gear cable braze ons, low rider bosses on fork, standard model supplied with cantilever brakes, mudguards,pedals, lighting system and rack, weight ca. 14.5 kg. 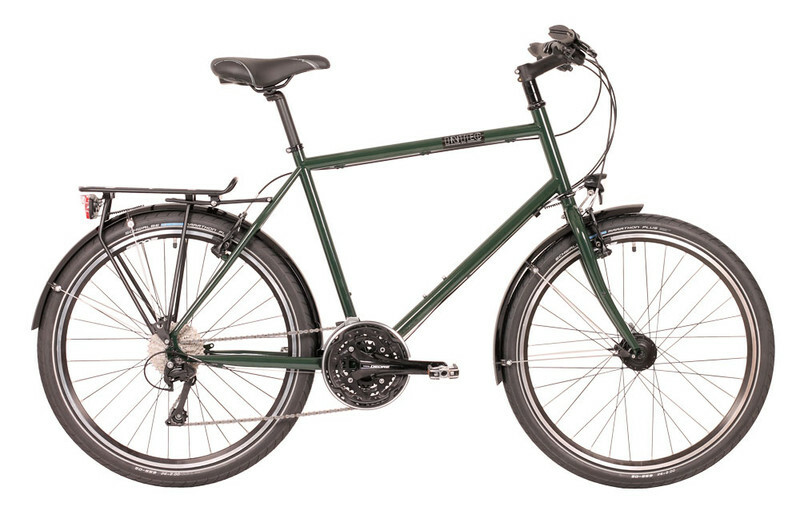 This steel framed budget bike is rugged and versatile (also available with 3x10 Shimano Deore, LX or XT as well as Alfine 8 or 11 speed hub gears, see specificaton options) while equipped to a high standard. Internal dynamo wire routing, double bottle bosses, all brake and gear cable braze ons, low rider bosses on fork, hub dynamo lighting system, mudguards, pedals and rack as standard, forks with low rider bosses. Weight ca. 14 kg. 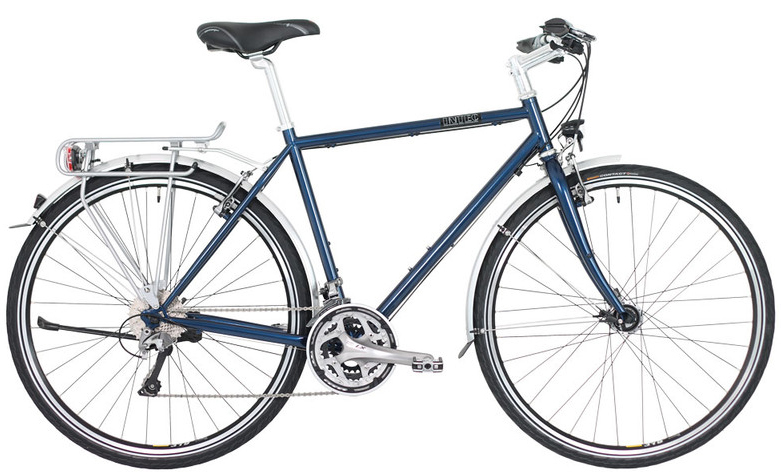 This steel framed budget bike with a step-through frame is rugged and versatile (also available with 3x10 Shimano Deore, LX or XT as well as Alfine 8 or 11 speed hub gears, see specificaton options) while equipped to a high standard. Internal dynamo wire routing, double bottle bosses, all brake and gear cable braze ons, low rider bosses on fork, hub dynamo lighting system, mudguards, pedals and rack as standard, forks with low rider bosses. Weight ca. 14 kg. The flag ship steel framed touring bike with hub gear set up, internal dynamo wire routing, double bottle bosses, all brake and gear cable braze ons, low rider bosses on forks, standard model supplied with Alfine 8 speed hubs and disc brakes, weight ca. 15.5 kg . Choice of colours from Frames > Custom colours > Colours Trekking (Image for illustration purposes only.) See below for specification options.